In [the previous post](http://www.cloudcomp.ch/2012/06/automating-the-icclab-part-two/) we looked at getting Foreman setup and installed. In this post we’ll run through how you can provision bare metal hosts using Foreman. The first thing that we’ll need to do is configuring Foreman for provisioning! Don’t forget [a VM in which all of this is setup is available](http://www.cloudcomp.ch/wp-content/uploads/2012/06/ForemanV.ova). Here, if they are not already populated, you need to enter in the OS hardware architectures that are required for your infrastructure fleet. Common architectures include ‘i386’ and ‘x86_64’. Smart proxies are the entities that interact with the core infrastructural services like DNS, DHCP, TFTP etc. When setting up your Foreman instance you need to tell Foreman where its location is by creating a new Smart Proxy entry and supplying its URL. Here you need to enter in the domain name system information. All that is needed is the top level domain name (e.g. mydomain.com) and an identifier (e.g. “the main TLD”). If your smart proxy has DNS enabled then ensure the DNS value is populated. This value specifies what smart proxy DNS service to use when adding new DNS entries. Once the smart proxy and DNS entries are entered, go back to the Smart Proxies section and click on ‘Import Subnets’. This will populate Foreman with the required networking information needed to allocate IP addresses against a newly provisioned machine. If you carried out the auto-import of subnets when setting up your smart proxy you shouldn’t need to change this, unless you want to add more or modify subnets. Environments specify a group of puppet modules that can be applied against a newly provisioned host. To import default ones, `cd /usr/share/foreman` and execute `rake puppet:import:puppet_classes[batch] RAILS_ENV=production`. See the [Foreman wiki page](http://theforeman.org/projects/foreman/wiki/External_Nodes) for further details. You can also import existing environments, along with their associated classes, by navigating to the ‘Puppet Classes’ section and clicking on ‘Import new puppet classes and environments’. To install an operating system you need to specify the location of where the source files will come from. Foreman supplies you with some installation media locations to begin with and you can add more either remote or local ones. A suggested minor edit with the default Foreman installation media is to change the mirrors that are closest to you. **Tip**: Setup a caching server to cache all your downloaded operating system files (e.g. apt-cacher NG for Debian based systems; [puppet module here](https://github.com/lelutin/puppet-apt-cacher-ng)), otherwise you can install from local media locations, say, distributed over HTTP. In the case that you want to deploy Operating Systems to hosts, you will need to define the operating systems that you support. To do this create an operating system entry. Once done go to the Provisioning Template section. The provisioning templates are key in the TFTP and DHCP boot process of your new host. These specify, depending on the OS automation suite (e.g. preseed, kickstart etc. ), how the OS should be installed on the new host, how disk partitions should be setup, what OS packages should be installed etc. An **important thing to do** here is to create a ‘Default PXE Menu’. This will allow for PXE boots with a fall back of boot by local disk, should a host have an OS already installed. You need to specify the template for the appropriate operating systems you are supporting. In the case of Ubuntu OS’s you will need to go to each ‘Preseed’ entry and ensure that it is associated to the Ubuntu Operating systems. Once done go back to the Operating Systems entries and ensure that they are associated with the correct templates. You can think of a Host Group as a profile or policy that is applied to a new host or group of hosts that is/are provisioned. Here selected puppet modules can be enforced on associated hosts to the Host Group. An example Host Group would be, say, an OpenStack Compute (Nova) Host Group. 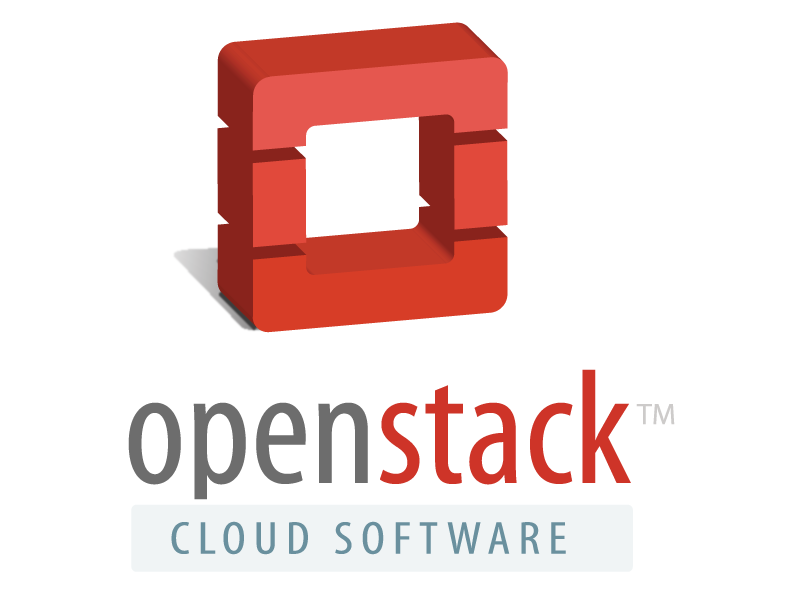 Any host associated with this group would assume the role of providing virtual machines for an OpenStack installation. With the above items created you are now ready to create a Foreman/puppet managed node! Click on ‘Hosts’ and ‘New Host’. Most parameters will be pre-populated. The only parameter you need to supply is the new host’s MAC address. 1. Go to ‘Domains’ and clear the value for ‘Dns’ and then save. 2. Edit `/etc/puppet/modules/common/foreman_proxy/manifests/params.pp` and set `$dns = false`. 2. If when provisioning a new host and the PXE boot process complains that it cannot download the pre-configuration file (say in the case of Ubuntu) and the URL is malformed (e.g. http://foreman:3000.mydomain.net), then ensure that you are accessing the Foreman front-end via the fully qualified hostname (e.g. http://foreman.mydomain.net:3000) and not just the host name (e.g. http://foreman:3000). The first solution is to [apply the changes that are present in this diff](http://theforeman.org/projects/foreman/repository/revisions/a7ad2c1c5e128347fea66478614d8784b222c2d9) that fixes [Foreman issue 1541](http://theforeman.org/issues/1451). The last resort work around is to install the 0.5 `nightly` release of Foreman. You can select what release of Foreman to install by editing `/etc/puppet/modules/common/foreman/manifests/params.pp` and changing `$package_source`. 0.5 appears to be relatively stable with many [people in the Foreman IRC room](http://theforeman.org/projects/foreman/wiki/Support) using it. For Foreman to use puppet, puppet needs to send reports to Foreman. To do this a script is registered with puppet. Thankfully this is looked after by the previous install steps above. If you want to check the script out, it can be [found at the Foreman repository](https://github.com/theforeman/puppet-foreman/blob/master/templates/foreman-report.rb.erb) or just look in `/usr/lib/ruby/1.8/puppet/reports/foreman.rb`. The other step that the install looks after is registering the report with puppet via the puppet configuration file (`/etc/puppet/puppet.conf`). At this stage you should have Foreman up and running and acting as not just a puppet master but as an ENC (External Node Classifier). This is looked after (this setup is automated) by yet another simple script (`/etc/puppet/node.rb`) that is registered with puppet. This script supplies node information from Puppet to Foreman. 1. If you are seeing **”hostname was not match with the server certificate”** in `/var/log/syslog` on your provisioned host then [please see this page](http://docs.puppetlabs.com/guides/troubleshooting.html). Normally you need to adjust the `server` parameter in the `/etc/puppet/puppet.conf` file. 2. If you see **”Error 400 on SERVER: Could not find node…”** in `/var/log/syslog` then you will likely have to adjust the variable `url` in `/etc/puppet/node.rb` and `$foreman_url` in `/usr/lib/ruby/1.8/puppet/reports/foreman.rb`. then check out [this article on disabling factsync](http://serverfault.com/questions/66124/puppet-0-25-0-problems-with-access-control-how-can-i-fix-them). The next post in this series will look into deploying OpenStack using puppet in a distributed (multiple nodes scenario) and then followed up with integration with Foreman. Stay tuned! Today, we know more about the universe than about our society. It’s time to use the power of information to explore social and economic life on Earth and discover options for a sustainable future. Together, we can manage the challenges of the 21st century, combining the best of all knowledge. The ultimate goal of the FuturICT flagship project is to understand and manage complex, global, socially interactive systems, with a focus on sustainability and resilience. Revealing the hidden laws and processes underlying societies probably constitutes the most pressing scientific grand challenge of our century and is equally important for the development of novel robust, trustworthy and adaptive information and communication technologies (ICT), based on socially inspired paradigms. We think that integrating ICT, Complexity Science and the Social Sciences will create a paradigm shift, facilitating a symbiotic co-evolution of ICT and society. Data from our complex globe-spanning ICT system will be leveraged to develop models of techno-socio-economic systems. In turn, insights from these models will inform the development of a new generation of socially adaptive, self-organized ICT systems. Data from our complex globe-spanning ICT system will be leveraged to develop models of techno-socio-economic systems. In turn, insights from these models will inform the development of a new generation of socially adaptive, self-organized ICT systems. FuturICT as a whole will act as a Knowledge Accelerator, turning massive data into knowledge and technological progress. The FuturICT Knowledge Accelerator is a previously unseen multidisciplinary international scientific endeavour with focus on techno-socio-economic-environmental systems. In this way, FuturICT will create the scientific methods and ICT platforms needed to address planetary-scale challenges and opportunities in the 21st century. Specifically, FuturICT will build a sophisticated simulation, visualization and participation platform, called the Living Earth Platform. This platform will power Exploratories, to detect and mitigate crises, and Participatory Platforms, to support the decision-making of policy-makers, business people and citizens, and to facilitate a better social, economic and political participation. The full list of involved and associated organisations can be found on the FuturICT website “Who is involved“. To be officially listed as a supporter of the initiative, organisations may fill in the registration form to provide FuturICT with information on scientific background, institutional association, approaches in work and contact information. Only your name and institutional association will be shown on the supporters page. Progress is also being made in coordinating national efforts across the EU towards launching the FuturICT project. Gerold Baudinot is Professor ZFH, head of InIT and lead of the Service Engineering focus area within ZHAW’s InIT Institute of applied Information Technology. Within ZHAW he lectures on Information Engineering and Service Engineering. His main research, expertise and teaching interests include business intelligence and service engineering. As well as creating a leading swiss SME providing personalized portals to large swiss and international corporations, he has held many high ranking corporate positions in companies such as Conexus, CGI, Logical CH, SAS, UBS and he work for many years as Developper for large software vendors such as CA and ADR. Big data is a general term that might be petabyte (10^15 Byte), Exabyte (10^18 byte) or zettabyte (10^21 byte) large and consisting of billions to trillions or quadrillions of records. A data that is beyond the limit of processing capacity of specific database system and so on. 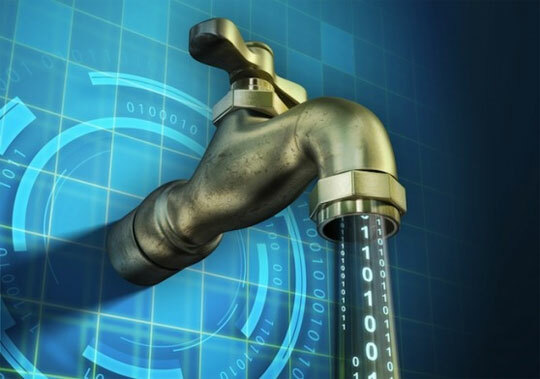 Due to the rapid growth of the data volumes, dealing with big data might lead you to the difficulties of being able to store, create, manipulate and manage your data. Generally big data is a problem in business analytics because of the large volume of data storage, process time and cost. 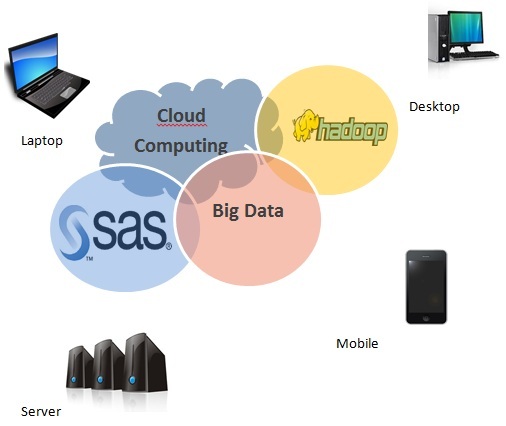 Most of the time big data is related with cloud computing because of the storage plus management and analysis of big data. Big dataset requires a framework like MapReduce to distribute the work among different computers. Our aim is to solve challenges on storing, accessing and analyzing big data using the infrastructure of Cloud Computing with Hadoop and analytic packages such as SAS and R. Our infrastructure is not only for storing but also big data analytics is a challenge which needs attention! The benefit of having big data; Even though it has some difficulties to work with big data, it helps to extract more information which could help for further researches. Having big data allow research groups to have variety of research areas or it enable them to analyze the data in different aspects/dimension. Furthermore, big data can provide more detailed results for better decision making. Helps to save more data than before. Hadoop supports around 4000 of nodes with 4TB of hard disk capacity per node which is a large amount of volume and it’s easily possible to add and remove servers into a Hadoop cluster. Beyond that it can be used without propriety licensing fees. And it is possible to integrate high performance parallel data processing using MapReduce. Since we are research group, we don’t want to just have big data stored in an organized way; we also need to analyze the data. Using the new version of SAS DI studio it is easy to access stored files in Hadoop without too many extra steps; we can use infile statement of SAS language to read and write files to and from Hadoop. It is possible to work with Hadoop hive tables as if they are SAS datasets, so that we can work with any jobs in SAS DI studio using Hive tables. Moreover there is upcoming plan; instead of accessing the data from Hadoop for processing in SAS, it is possible to take the advantage of the cluster by sending down the work to Hadoop cluster to be processed since the data is in the cluster. Interesting! ***Note:*** There are updated installation instructions for the new release of Foreman 1.0.x [in a complementing blog post](http://www.cloudcomp.ch/2012/09/installing-foreman-1-0-1/). In the world of data centres, automation is not a nice-to-have it’s essential. Sure you could attempt some manual deployment and configuration if you’ve 2 machines to administrate or knock together a custom script in Perl or python if you’ve 30 machines. But what happens when this grows to thousands? This is where the likes of [Puppet](http://puppetlabs.com/), [Chef](http://www.opscode.com/chef/) and [CFEngine](http://cfengine.com/) come into play. These are the tools for managing deployment of cloud-scale data centres. 4. Toolset must be fully integrated. Based on these requirements we have selected [Puppet](http://puppetlabs.com/) as the core of this toolset. [Puppet](http://puppetlabs.com/) will satisfy the first two requirements. To satisfy the third and in doing so the fourth, [Foreman](http://theforeman.org) will be selected as the means to provision physical servers. Foreman is integrated with Puppet. It runs a puppetmaster server which once a physical server is provisioned, will deploy specified [Puppet modules](http://forge.puppetlabs.com/). Foreman itself has a user web front-end that talks to a backend service known as a smart proxy. The smart proxy provides a service that provides DHCP, DNS, Puppet, Puppet CA, and TFTP functionality. As well as the user web front-end Foreman also [has a useful web API](http://theforeman.org/wiki/foreman/API). To get started with Puppet and Foreman, we’re setting things up on a VM ([you can download it if you like](http://www.cloudcomp.ch/wp-content/uploads/2012/06/ForemanV.ova), user:fman password:fman) for flexibility. You can of course deploy Foreman to a physical machine but choosing a VM is solely to ease this walkthrough. To do this you can follow the following steps. ***Assumption***: An [Ubuntu 11.04 Server OS](http://releases.ubuntu.com/11.04/) running on [VirtualBox](http://virtualbox.org). Currently [there are issues with 12.04](http://theforeman.org/issues/1481) and Foreman that are related to DB schema migration. Assign 2 NICs: one NAT’ed the other on a host-only network. The NAT’ed adapter will act as the public interface through which access to the internet is supplied. The host-only adapter will act as the private internal network in concertation with VirtualBox’s virtual switch (default name `vboxnet0`). The virtual switch `vboxnet0` is set with an IP address of `192.168.56.1` and mask of `255.255.255.0`. DHCP is disabled. Install a Linux variant, in this case Ubuntu 11.04 “Natty Narwhal”, on to the virtual machine. During the install process choose to install the `openssh-server` so you can `ssh` into the virtual machine. During the install, the NAT’ed adapter will be setup. In order to complete the setup you will have to setup the host-only adapter also. To do this edit `/etc/network/interfaces`. The `metric` parameter is important here. Below is an example of how you can setup the host-only adapter, named `eth1`. You should now execute the script this script in the case you do not reboot the node at this point. Finally setup a port forwarding rule on the NAT’ed adapter (`eth0`) to the SSH service running on `eth1` in VirtualBox so that as a convenience you can ssh to the Foreman node using your own client and not the VM console. The most appropriate means to deploy foreman is of course via puppet! First install the necessary `git`. Now install [puppet from puppetlabs.com](http://docs.puppetlabs.com/guides/puppetlabs_package_repositories.html#for-debian-and-ubuntu). This is done as we need the latest version, 2.7.x. In version 2.6.x, the default in Ubuntu 11.04, there is an Augeas bug that makes Foreman installation tricky. You should also disable `puppetmaster` from `/etc/defaults/puppetmaster` as this will effect how apache executes. Now, get Foreman. You should place this collection of puppet modules in the place where you store all you modules (e.g. `/etc/puppet/modules`). For this installation we’ve placed them in `/etc/puppet/modules/common`. Of course, you being a DevOps nut, you want to have all of these configurations under SCM (e.g. git, mercurial or subversion). ***Note:*** As we’re installing onto Ubuntu, a Debian variant, there maybe some gotchas you need to read up on. See [README.debian](https://github.com/theforeman/foreman-installer/blob/master/README.debian). Also review the settings in `/etc/puppet/modules/common/foreman/manifests/params.pp`. If you’re foreman does not have a domain name associated with it then you can quick supply one by adding a `domain` statement in `/etc/resolv.conf` (e.g. `domain mydomain.net`). Also as you are using Foreman’s managed DNS server, you should make a new `nameserver` entry in `/etc/resolv.conf` that points to the DNS server’s IP address. **Tip**: At this stage you can make a snapshot of the VM before installing Foreman so you can revert to it if your install does not work out. Foreman will now be available on its URL serving from port 3000. Finally commit and optionally push your modified modules to your SCM repository. If you ever want to setup Foreman again on a fresh machine all you’ll now ever need to do is to install puppet, check out foreman from your repository and apply the relevant modules. If you experience issues on executing this command and you want more information, simply add the flags `-v -d` to the `puppet` command. You can safely ignore this but if you want to remove the error it simply create the directory. 2. If you encounter an error telling you that “no fqdn” is available to `facter` then [see this useful article](http://stackoverflow.com/questions/7780322/puppet-facter-could-not-retrieve-fact-fqdn-how-to-fix-or-circumvent) on how to resolve the issue. **Note**: With each change(s) reapply the foreman puppet command as above. There are a number of customisations that you might want to make. Don’t edit the Foreman configuration files directly. Edit the `param.pp` files and then use `puppet apply`. 4. By default Foreman uses a sqlite3 backend. You can change this. See [the following Foreman article](http://theforeman.org/projects/foreman/wiki/Database_configuration). Things are hotting up in the area of automation. Just recently EMC announced their new [open source provisioning framework, Razor](https://github.com/puppetlabs/Razor), built on Puppet. There is also [support added within Foreman](http://cloudprovisioning.wordpress.com/) for provisioning VMs via oVirt and Amazon EC2. Big thanks goes out to [all those that supplied suggestions](https://groups.google.com/forum/?hl=en&fromgroups#!topic/foreman-users/-ASnNeC5SyE) to improve this guide! In the next blog post we’ll look at configuring and provisioning bare metal hosts with Foreman. Stay tuned! The ICCLab team presented gave a live demo of [our OpenStack cluster](http://www.cloudcomp.ch/2012/06/whats-powering-the-icclab/) at the [/ch/open Open Cloud Day](http://www.ch-open.ch/index.php?id=1034). It was an excellent day with many view points from governmental all the way down to Infrastructure as a Service and automation. 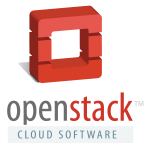 We also announced the [Swiss OpenStack User Group](http://www.cloudcomp.ch/openstack-user-group/) and we’re looking forward to the inaugural event. This event is particularly important given that Cloud Computing is as ever becoming more and more important. To get the full power of clouds, in the view of /ch/open and the ICCLab, these clouds should be open according to the open cloud initiative principles. The goal is to foster open clouds and interoperability of clouds. Especially taking into account the requirements of public administrations. The InIT Cloud Computing Lab (ICCLab) of the Zurich University of Applied Sciences is researching the full cloud computing stack. Much of this work happens in the context of the OpenStack framework and the ICCLab is official coordinator of the “OpenStack Community Switzerland”. The InIT Cloud Computing Lab adopts a comprehensive and holistic approach to science . The entire approach is based on three driving principles, namely **Scientific Foundation**, **Strategic Impact**, and **Knowledge Transfer**. The entire scientific work of the ICCLab is aligned and directed along these inter-linked dimensions. [Read more about the ICCLab’s approach to research and education](http://www.cloudcomp.ch/research/).